OYSTER BAY COVE, N.Y. -- Police have arrested a man accused of running a Jeep into a home, then breaking in, burglarizing it and killing a pet cat. According to the Nassau County Police Department, Nicholas Patrikis, 23, of Huntington, lost control of the 2000 Jeep Wrangler he was driving on Cove Road, hitting a snow bank and fence in front of a home on Royston Lane. Police said he then left the vehicle, scaled the home's fence and broke in. Patrikis ransacked several rooms, destroyed personal property, and stole jewelry, police said. He is also accused of killing a pet cat. Police said afterwards, Patrikis left the home with a kitchen knife, which he used to menace several motorists on Cove Road. Patrikis is facing several burglary and robbery charges as well as criminal mischief and aggravated cruelty to animals charges among others. 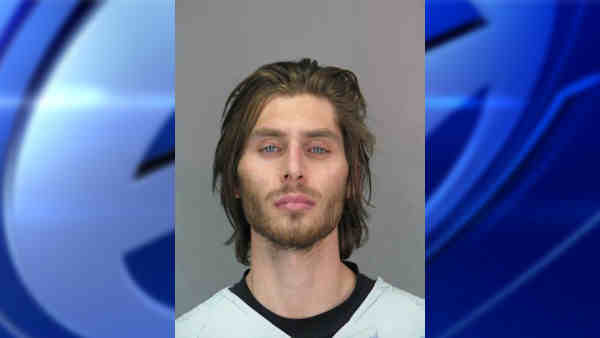 He is scheduled to be arraigned Thursday in Hempstead.